API monetization is a key way to unlock value from your API programs and increase API adoption. Monetization enables API providers to reach beyond current business models, scale API programs, and open new opportunities with customers, developers, and partners. 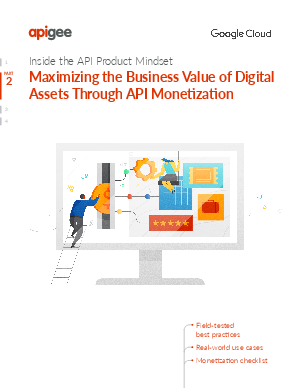 Google Cloud’s new eBook, Maximizing the Business Value of Digital Assets Through API Monetization, takes a deeper look at API monetization to help you create and derive value from your API products. Explore how to generate revenue from API products and grow API programs with field-tested best practices, real-world use cases and a checklist to help your team get started.